Papito, whose real name is Garnett Ferguson, was born in Kingston Jamaica. He spent most of his years in the parish of St. Mary. His music started from a tender age of 9 years old at school and church and was a yearly finalist in the JCDC competitions. Garnett goes by the name of Papito, which was a name given to him by his peers in High School. Being on many stages, Garnett made his first international appearance in 2013 where he performed with the University of the West Indies POP society at CARIFESTA in Suriname, performing his own favorites of Bob Marley and spreading the reggae culture. 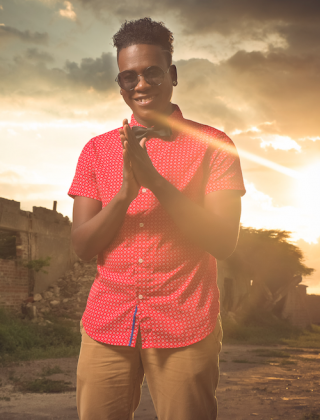 Papito was also a 2014 Digicel Rising Stars finalist. Papito has also made appearances on popular stages such as Gungo Walk, a yearly cultural show in Jamaica. Papito, who is a reggae and RnB singer/performer, is currently working on his EP and recently released three singles, “Not the Only One” and “Smile” (with Busy Signal as executive producer) and “Like that”. Papito also released his first Music video for “Smile” which can be found on Youtube. Papito, using his powerful words and sweet soothing melodies, wishes to use his music to spread love and positivity to his audience and as a young artiste, be a role model for the younger generation. Please contact us at Jack Russell Music if you would like to use any of Papito’s compositions for film, television, electronic media or covers.